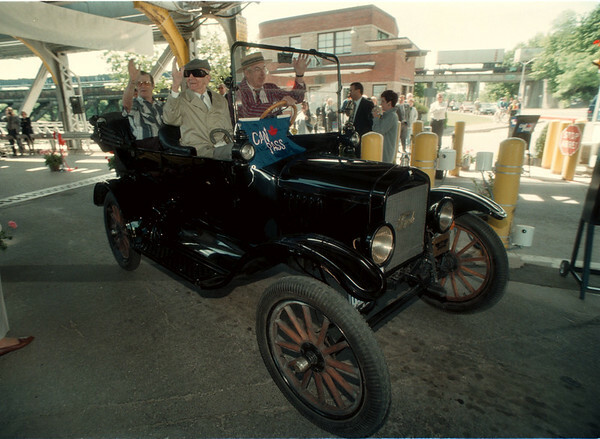 98/06/05 Can Pass - James Neiss Photo - L-R - George Dempster of St. Catharines, 98yr old William Scowcroft and driver, John Verrocat of NF. Ontario, along with Marjorie Dempster who is hidden in back, were the first to come into Canada with the "Can Pass". They did it in style as they drove a 1917 Ford Model T.